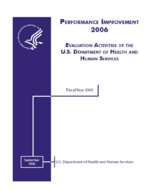 A Statistical Disclosure Limitation methodology known as MASSC was applied to two sets of data from the public use files of the third National Health and Nutrition Examination Survey and the 2000 National Health Interview Survey. For each set of data, an assessment of the ability of the MASSC methodology to reduce the risk of disclosure while minimizing the impact on data quality was carried out. Since public use files used in this study were previously treated in order to limit disclosure, it was not possible to determine the level of disclosure risk associated with each set of public use files. Accordingly, the pre- MASSC treatment level of “risk” should be regarded as being simulated and not be considered true risk. Under this condition, the degree to which the MASSC treatment lowered this simulated risk was measured. Pre-treatment estimates, including point estimates and regression estimates, were compared with the corresponding post-treatment quantities. The level of agreement between the pre- and post- treatment estimates was measured.